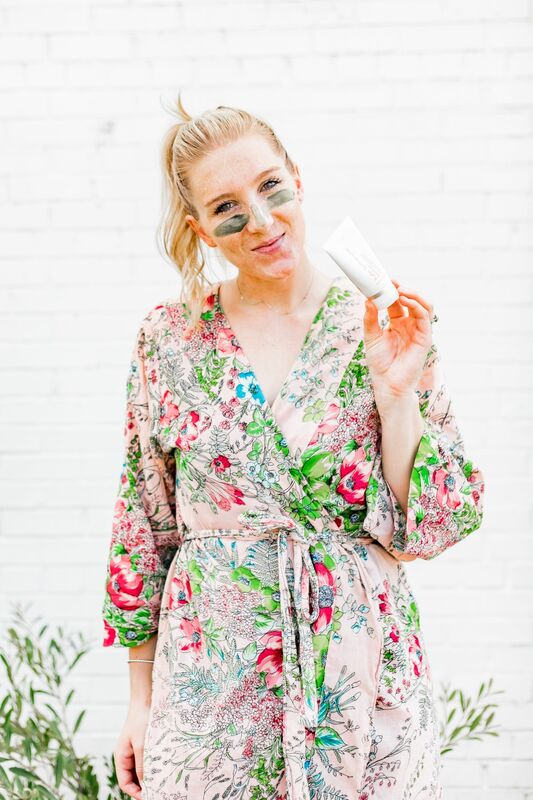 Alright, hopefully we all know this, but for those of you that may not, Lauryn Evarts from The Skinny Confidential has put it best: SKIN IS IN. If you haven’t realized this, it’s okay, because now you know, but for those of you that are aware, I think we can all agree it is one trend train we can hop right on with one arm in the air hooting and hollering. I personally, love preventative care (for basics see this post here), and skin prevention is something I have become fascinated with because I am super fair skinned, have realized the strength of the products out on the market right now, and have discovered some amazing skin treatment methods you can do easily and simply right from the own comfort of your home. Which leads me to today’s topic: my at-home facial routine. Now, this is something I have recently started doing this past month only because I have found a method I am in love with and I figured we all want beautiful skin, so why not share it! First step is to cleanse the face. Simple, yet important so that all of our products don’t have try and get through our makeup from the day. I use a very basic face wash and have actually recently switched over to this one and I am in love! Plus, at $6.99, how can you go wrong! Next, is my favorite part! 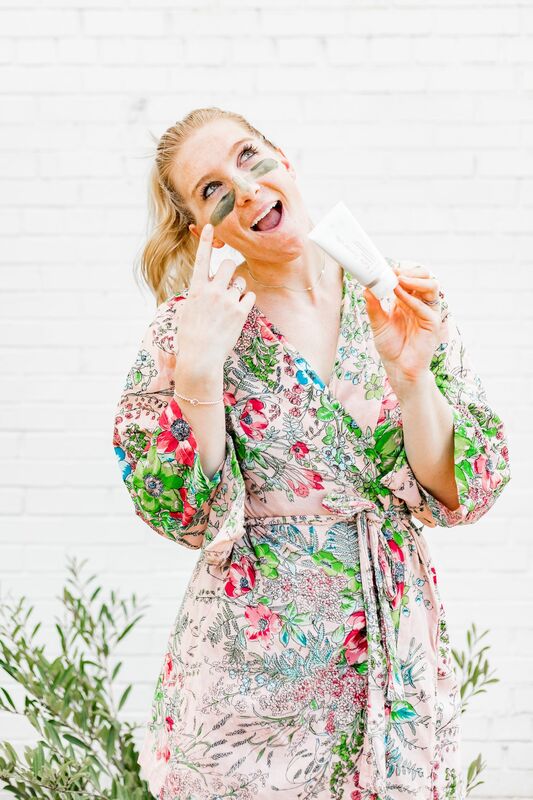 Once you have cleansed your face with your favorite cleanser, you get to do it over again, but this time it is with one of my favorite products. This too is a newer addition to my team and guys, I am in love. I was lucky enough to get to try Exfolikate by Kate Somerville in the store and it seriously changed my life. The product is made of lactic acid (this will tighten) and fruit extracts for brightening like papaya and pumpkin. Essentially you are left with brightened, tightened, and smoother skin. When I tried it in store, I was amazed as to the difference I saw on my hands. It was truly amazing. And luckily, you see the same difference on your face. This product isn’t called Hollywood’s 2 minute facial for nothin! When I use this product, I try and use really hot water or let the water run so that steam can hit my face. The steam will actually help to open up the enzymes, resulting in even better stimulation and overall, better results. Next up is your big guns. Now, I think that any oil or serum that you are loving will do. Two that I really have been liking are this one and this one, but find what works best for you and your skin (this is where we all have different needs comes into play) and finding the products for you that work best is key. Regardless, following my Exfolikate, I typically apply a serum and then an oil. You do want to use your best products here though because we are going to do something next that is going to really help those products to absorb into your skin and get their full potential. Next ups my favorite part – facial massage. I have fell in love with Clarisonic’s facial massager head. It is seriously amazing! I am almost sad that I didn’t pick this up before. I typically will use it all over my face and neck for anywhere from 5 minutes (if I am short on time) to 10 minutes. I really make sure though to use it extra on areas I want to build up collagen and break up muscle (this is how you remove fine lines). For example, my forehead has some fine lines. In order to prevent and smooth these, I will use the massager over this area for an extended period of time to actually increase circulation to the area and relax the muscle under the skin. Tightened muscle is actually what causes fine lines, so if you can smooth that and cause increased circulation to the area (reddening) you will be able to bring more nutrients to the area, leading to increase collagen production and cell turnover, leading to TA-DA smoothing of your fine lines. Lastly, I follow up with my favorite moisturizer! I put this on last because now that I have increased circulation , really helped my big guns (serums and oils to penetrate), I can add my moisturizer to really soak in and encourage absorption. There you have it. How simple is that? They key in my opinion is using and finding good products. I love Dr. Denis Gross because his products are legitimate and high quality. The same with Kate Somerville. 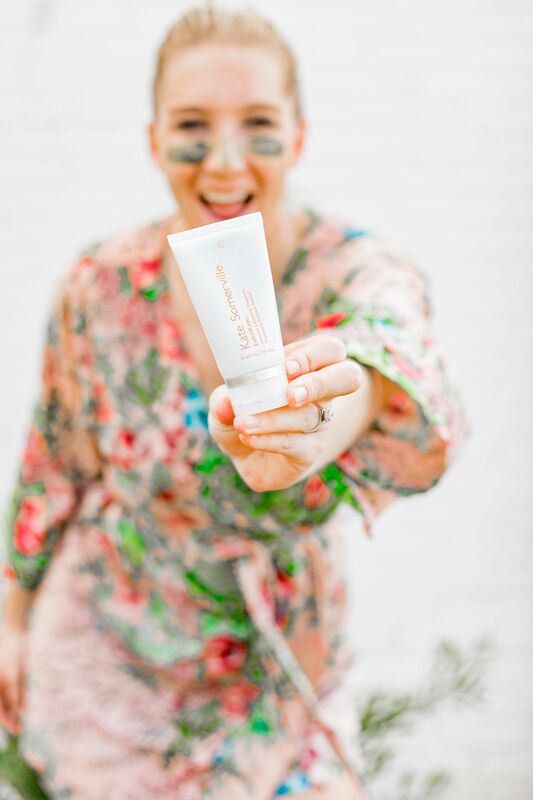 I actually used her line (see my review here), but it didn’t quite work for me, however, it doesn’t mean her products aren’t fabulous (her Exfolikate is life changing guys). They just didn’t work for my skin. Find what works for you and have fun! I would love it if you tag me you in your at-home facials!